Legio Minimus: Destruction Cryptek Complete! Just a quick update. I managed to finish my first Cryptek. All the Royal Court models I am doing for this army are converted by mixing the Immortals Plastic Boxsets left over bits and a box of Lychguard. After my last round of Finecast models (well, literally ALL the ones I have purchased) I have made up my mind to never purchase another Finecast model ever again. From my experience they are grossly overpriced and to say the cast quality is sub par is an understatement. 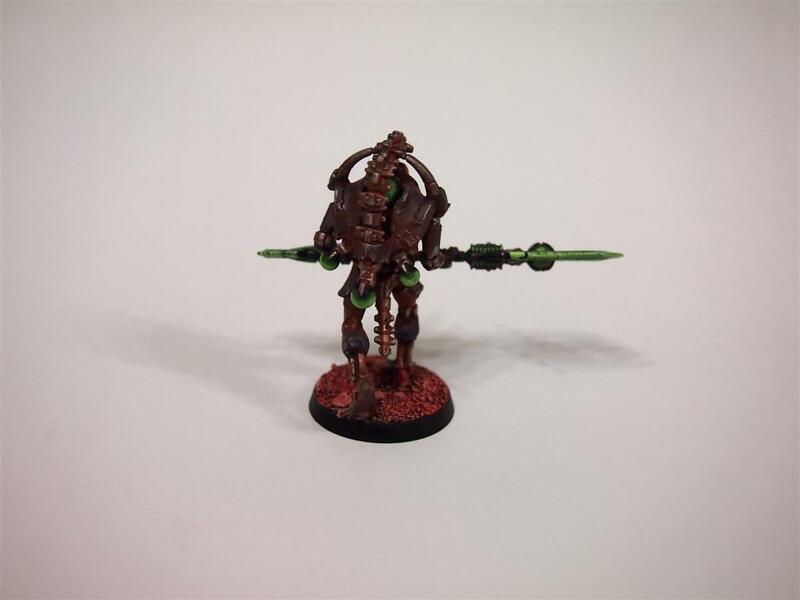 I mean, for $40 I am able to build 5 Crypteks/Lords while for $20 each I can get a poorly casted, very generic, one pose model in the form of Lords and the one Cryptek. No contest. Anyways, here is my first converted Cryptek. He has an Eldrict Lance which was made by making a dual headed Warscythe. His head is from the Deathmarks and he has a converted Torso made up from combining the Deathmark and Preatorian Torsos. Next Up: My Second Cryptek!